There is only one crossing on the Shimanami Kaido that doesn’t allow bicycles. Rather, it is highly advised that you do not use these bridges. The Onomichi and Shin-Onomichi bridges cross from Honshu to Mukaishima and are not designed for crossing by bicycle or on foot. The Onomichi Bridge is an old bridge with a very small sidewalk. You actually have to enter the road every time you pass one of the cables holding the bridge up. Don’t even consider crossing this bridge. The Shin-Onomichi Bridge is more dangerous than the Onomichi Bridge. It is part of the highway system and there is no sidewalk. In fact, it is illegal to cross the Shin-Onomichi Bridge by bicycle. 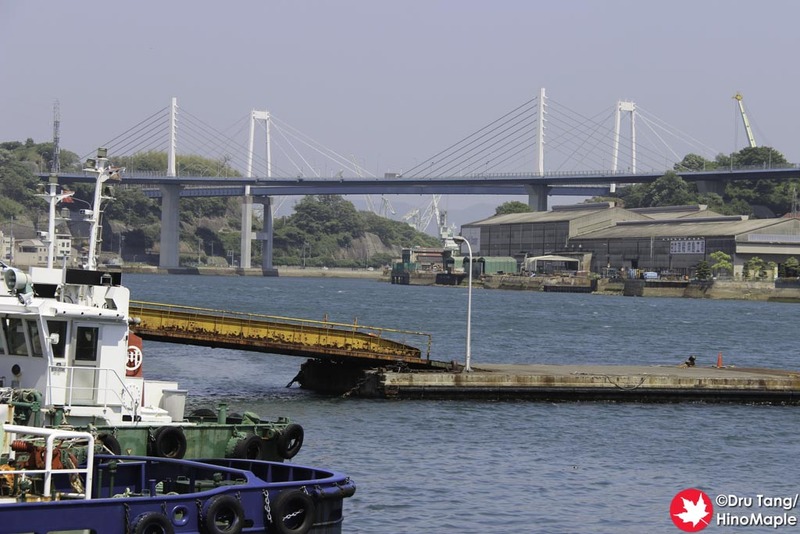 If you are trying to figure out which bridge is which, the wider looking bridge, the one with the main towers looking like an “H” is the older Onomichi Bridge. 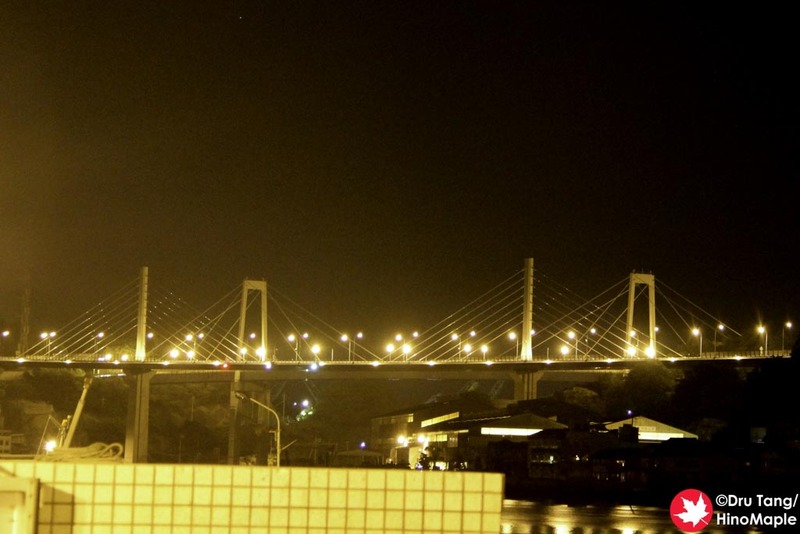 The slim towered bridge is the Shin-Onomichi Bridge. This entry was posted in Chugoku and tagged bridge, Hiroshima, japan, Onomichi, Onomichi Bridge, Shimanami Kaido, Shin-Onomichi, Shin-Onomichi Bridge by Dru. Bookmark the permalink.